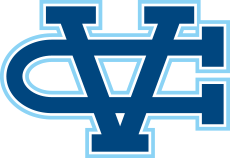 Mountain View, CA - The boys Track & Field team advances seven athletes to CCS Trials next week following an outstanding showing at WCAL Finals, Friday. Varsity finishes 4th in team standings behind strong performances in the sprints and field events. The relay team of D'angelo McKenzie, Charlie Bostic, D'Von Lang and Nick Trofort finished second in a season best 42.30, also the #2 time in CCS this season. David Shao, Coleman Kyles, Presley Lara and Eric Waltz finished third in 46.23. With D'Von Lang running and Skylar Loving-Black bumping up to varsity Lara and Waltz stepped up and filled in magnificently propelling the team to a podium finish. Cameron Lockard was the top finisher with a 20th place finish in 4:49. It was a brave run for Lockard who unfortunately came down sick just days before. Looking to finish out his senior year it was a valiant effort that saw a strong first half in 2:18 and held on to finish just seconds off his personal best. Jake DeMoss was top finisher in the Frosh-Soph boys running 4:59.67. Jack Adamson (5:01.60) and Jonathan Pappas (5:07.32) both hit huge personal bests and nearly dipped under the 5 min mark. Ragav Saran finished in 5:23.07, just a half second off of his lifetime best. D'Angelo McKenzie once again found himself in a dual with rival Blake Rose resulting in a photo-finish separated my mere millimeters. McKenzie finished in 14.70 for second place, which also ranks him #2 in CCS this season. McKenzie and Blake have been seperated by just 0.01 of a second the last two years combined. In the frosh-soph boys race Kevin Puorro finished 8th in the 65 Hurdles in 11.28. Dylan Holder has been on an upward trajectory in recent weeks culminating with a fifth place finish and personal best 54.54 for the one lap race. Three Warriors move on in the 100 meters surpassing the CCS Automatic Qualifying mark. Charlie Bostic matches his personal best running 10.75 for a second place finish. Nick Trofort finished in a personal best 10.84 while D'Angelo McKenzie took nearly .2 off his best to finish in 11.07. Coleman Kyles made it 4 for 4 running a personal best of his own to finish fourth in a wind legal 11.28 (+2.0 wind). Sam Cuevas knew he hand his hands full with a stacked field in the 800 meters and planned to lay it on the line. He knew playing it safe wouldn’t get him through to the next round and settled on the strategy, go for it and see what happens.It was cold windy night that saw many of the top 800 meter runners falter. Still Cuevas finished in 2:08.96 in 11th, he came into the meet ranked 12th. Jake DeMoss had a busy night with three events on his plate. Following the 1600 and with the 4x400 leg looming he went out strong and held on to finish in 2:16.80. Charlie Bostic lowered his personal best to 21.73 to finish second in the 200 meters. His time is #2 in CCS this season and #3 all-time for the Warriors. Nick Trofort finished 4th in 22.62. His time is the tenth fastest mark of all leagues throughout CCS. Coleman Kyles finished 23.69 hitting another personal best. His effort was wind legal with a +1.8 tailwind, under the 2.0 legal limit. Joe Renati’s junior year has been a turbulent one to say the least. After running 9:51 in the 3200 as a sophomore he suffered a hernia during cross country that cost him much of the season. Working hard in the off season he returned to form early spring to experience yet another setback, this time in the form of a persistent sinus infection. Persevering through the symptoms he managed to close out the season strong running 10:03.65 in the final. Cameron Lockard was under the weather and endured the 1600. Not expected to toe the line under the circumstances the senior wouldn’t have it and ran a gutsy race finishing in 10:52, just one second off his best time this season. Freshman Jonathan Pappas and Sophomore Ragav Saran both ran lifetime bests in the Frosh-Soph 3200 finals the week prior. Pappas lowered his personal best from 11:40 to 11:09. Saran dropped 20 seconds, lowering his best from 11:45 to 11:25. The varsity 4x400 relay team of Will Bainbridge, Alan Calominga, Qeshaun Thompson, Preston Nguyen finished sixth in 3:40.62 In the frosh-soph division Dylan Holder, Jack Adamson, Jake DeMoss and Eric Waltz also finished sixth in 3:46.11. Dylan McCreery successfully defended his WCAL title winning the event with a personal best and CCS leading 52-2.5. The senior surpassed 50 feet on all of his throws with his second round throw also surpassing 52’. He is the current CCS leader in the event and #3 all-time in school history. Kyane Schmidt broke 40’ for the first time this season at last week's trials and hit another breakthrough finishing 5th with a 3+ foot personal best hitting 43-11. Will Bainbridge finished ninth in the varsity boys long jump with a mark of 19-10. He hit a personal best 20-6.25 int he WCAL Trials the week prior, a mark that is recognized #9 on the team’s all-time list. Seth Hoque finished third in the frosh-soph division with a mark of 19-0.25. Lucas Ramirez hit a personal best 18-1 to finish seventh. Ramirez has come on strong in recent weeks. He improved nearly four feet from the start of the season! It took one jump for Matt Weeks to move onto CCS hitting surpassing the automatic qualifying standard with a mark of 43-5. His Jump was good enough to finish just one inch off the winning mark. Weeks suffered a collapsed lung three weeks ago and planned to call it a day once hitting the standard. He has hit 44-10 this season which currently ranks fourth in CCS. Seth Hoque broke the 40 foot barrier three weeks ago and has been on an upward trajectory ever since. 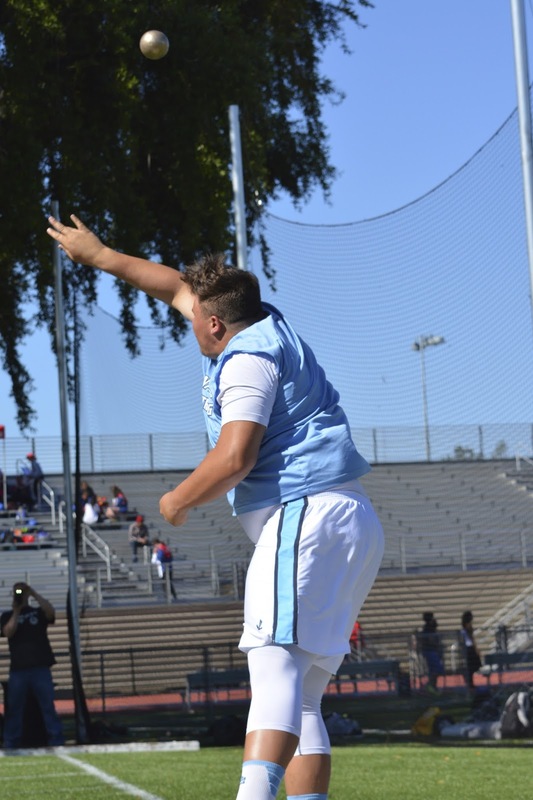 Hitting a personal best and freshman school record (42-0) at Serra he went on to jump 41-3 in the WCAL Trials and matched that same 41-3 in the finals to win the Frosh-Soph WCAL Title.